Why Choose John Cullen and Sons Ltd? We are an established in Central Scotland company who specialise in central heating installations and gas works,plumbing,and general maitinance the directors of the business have worked within the sector for over 35 years and have a wealth of experience and knowledge. Our customer's include Landlords, Local Authorities, Businesses and Private Homeowners and with our years of experience in the domestic heating sector, we are able to offer a customer focussed service which is backed up by total professionalism. 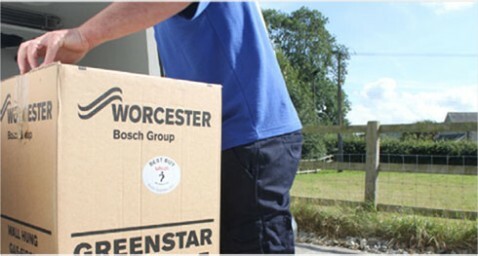 We are accredited to work with Worcester Bosch, and our relationships with leading boiler manufacturers and leading suppliers enable us to provide extended warranties and competitive prices on all central heating products. John Cullen and Sons is a family run company based in Falkirk. The Company is Gas Safe registered, members of SNIPEF, and HETAS registered to name but a few trade associations. We not only carry out New and Replacement boilers in Falkirk,Polmont, but carry out smaller jobs too, such as re-washering taps, etc. As members of HETAS, we are one of only a few qualified solid fuel installers who carry out regular link up systems and flue lining projects all over Central Scotland. , and many more companies, as well as many private customers that we regularly undertake work for - some of which have been with us for over 30 years.